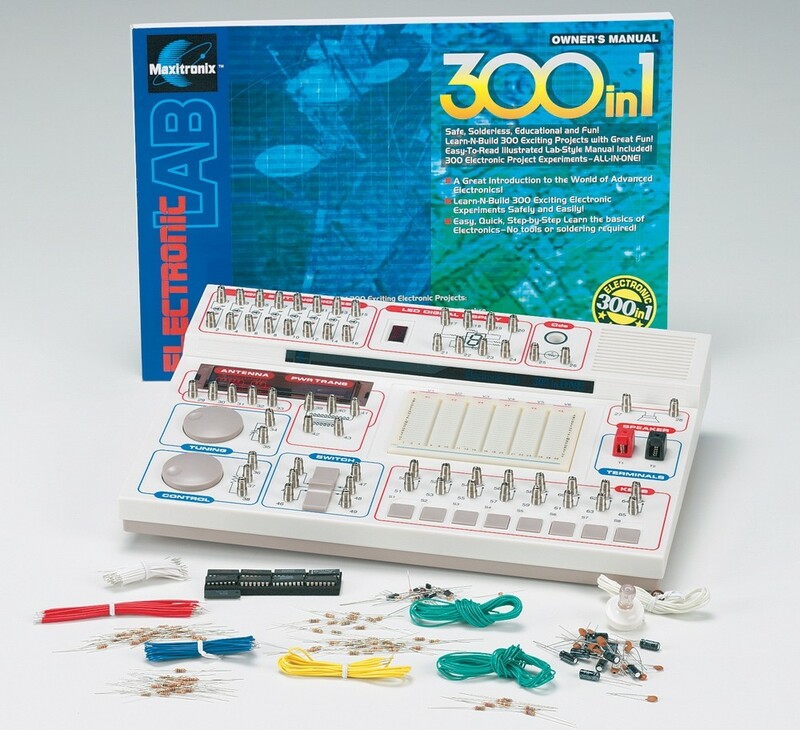 Elenco's 300 in 1 Electronic Project Lab gives you everything you need to conduct hundreds of electronic projects. Have you ever wanted to build a metal detector? 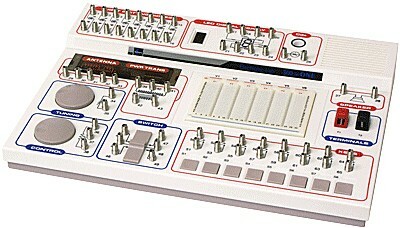 How about a radio? 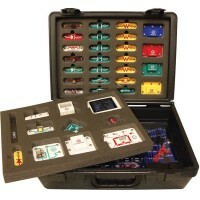 Or maybe an electronic game of your own? 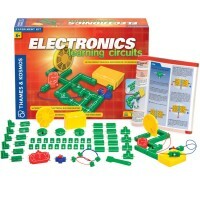 Now you can build all of these and more with your very own electronics trainer! 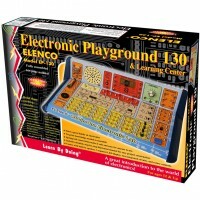 Elenco's 300 in 1 Electronic Project Lab gives you everything you need to conduct hundreds of electronic projects. 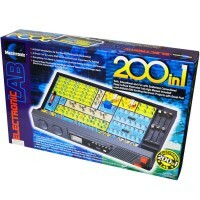 This all in one lab from Educational Toys Planet will teach you how to read wiring diagrams and schematics and identify electronic pieces. 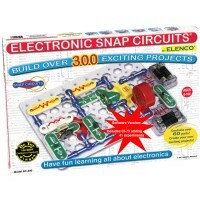 This electronic learning set from Elenco features both spring method and the more advanced breadboard method hook ups and everything runs on safe battery power. 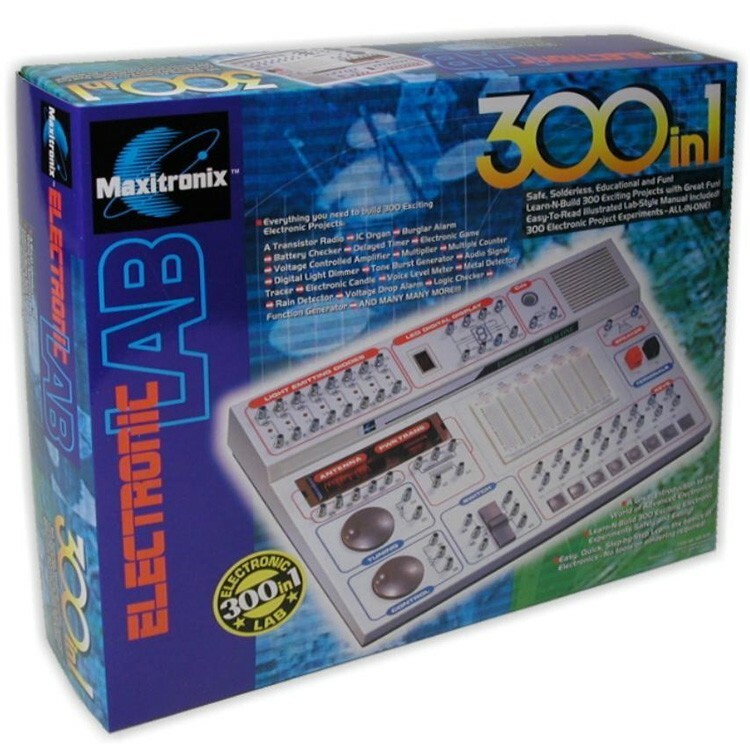 No need to plug into any electricity or solder anything, making the 300 in 1 Electronic Project Lab safe for kids of all ages. 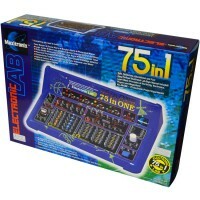 The easy to follow instruction booklet will teach you how to build a burglar alarm, a voice level meter, a delayed timer, a rain sensor, a digital light dimmer, a tone burst generator and so much more! No prior knowledge is needed to assemble these amazing projects. 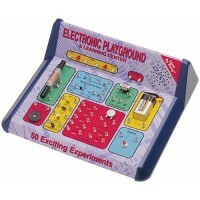 Perfect for home experiments or classroom learning in any middle or high school! 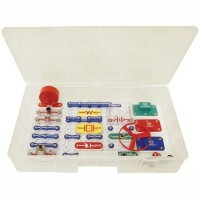 This kids electronic kit requires 6 AA batteries. Dimensions of package 13.25" x 15.25" x 3.5"
Write your own review of 300 in 1 Electronic Project Lab. Rating: 4 by Larry, NC It's simple for the kids to understand. 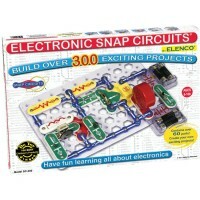 Rating: 5 by Dan, NY Such a cool electronic kit for my son. Thank you! 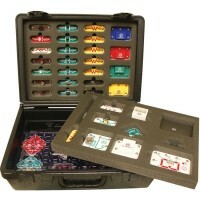 Rating: 5 by Joreen, PA I purchased this for my 11 year old grandson for his birthday. He loves playing with it and is learning a lot. The only downside is that the manual was written too poorly for him to be able to decipher. He managed to figure things out, though and really enjoys it.